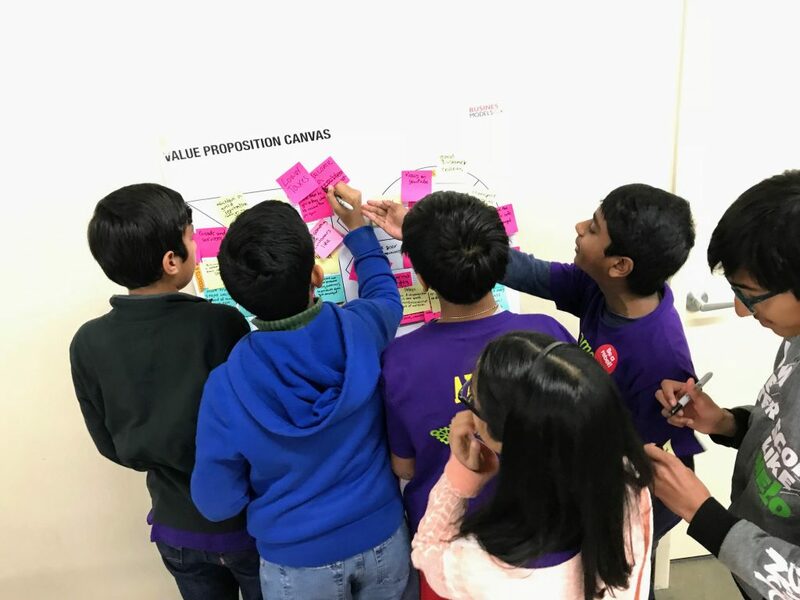 We partnered with FIRST®, a global leading non-profit that takes STEM education to student K-12 all around the world, to work on a case study provided by DB Schenker around the future of air transportation. Bring innovation and entrepreneurship to students in STEM Education. A hands-on workshop and case study using design thinking to solve challenges in the air transport logistics industry. 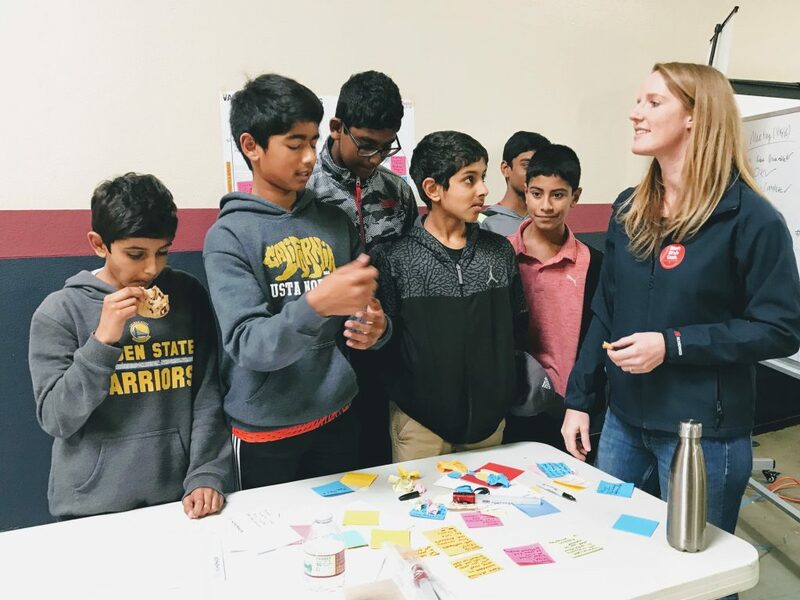 STEM (science, technology, engineering, and math) encompasses the idea of designing a curriculum that brings an interdisciplinary, hands-on approach to education. It’s all about project-based learning, which really means learning by doing. The US government has put efforts into encouraging more students in STEM through investments and partnerships (see here) because they too recognize that STEM is a foundation for innovation and global leadership. How might we infuse innovation and entrepreneurship concepts into STEM education in order to create the new leaders of the future? Often when we think of innovation, especially in the context of STEM, we focus around new technologies and products. For example, how can we make use of frontier technologies such as AI, AR/VR and blockchain? How can we make a product faster, lighter? While these are certainly areas that are integral to innovation and advancement, the true benefit of innovation comes from tools, skills, and mindsets that help you really understand who you are creating value for and why. To do this you must understand people and communities and begin to build strategies – product strategies, business strategies – that are viable and address real pains as well as gains. 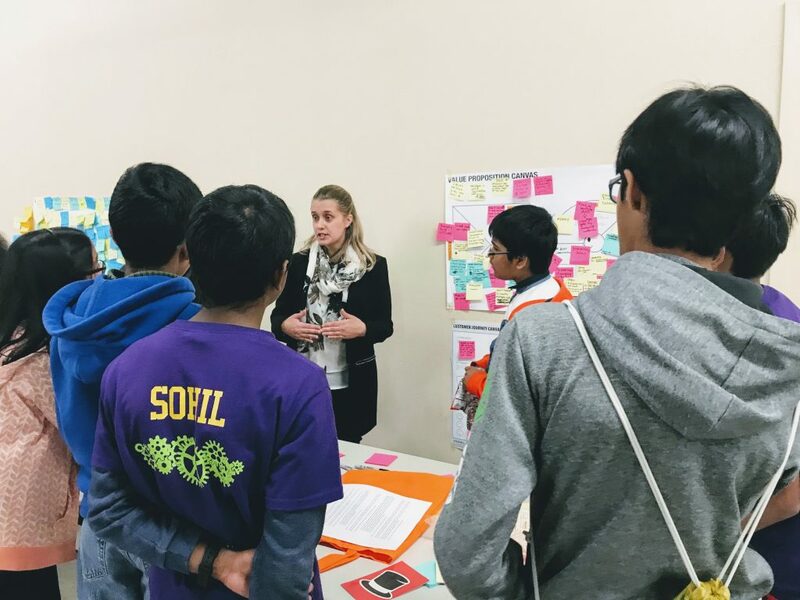 We approached our question through a series of workshops led by our NYC based Strategy Designer, Carley Jacobson, with middle school and high school students centered around design thinking, entrepreneurship, and innovation. We learned that STEM students are particularly well positioned with the skills and mindsets of innovative leaders and entrepreneurs. These skills include prototyping, experimentation, iteration, and ideation. Drones were a popular technology utilized to tackle the speed and last mile opportunities. 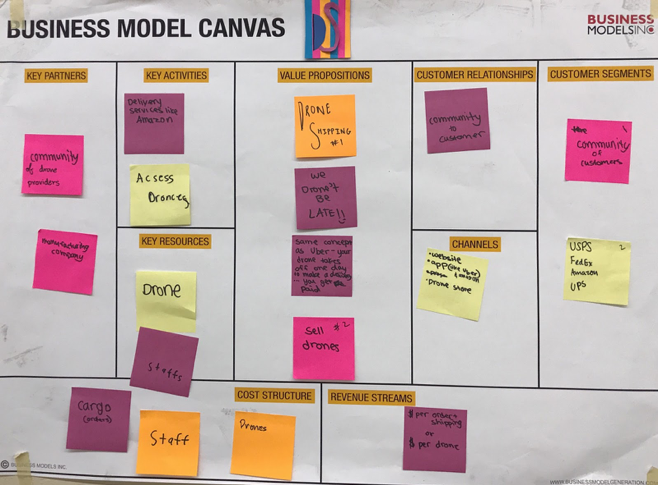 The students looked at business models that had key partners like the manufacturing companies and fixed shipping prices. Students also looking to the Uber model to tap into existing fleets of trucks. Students used digital platforms and apps to create seamless lines of communication between transportation agents and their clients. They also looked to technologies like AI to help identify and book available storage space. One of the problems the students discovered in their interviews with DB Schenker is that product safety is one of their top responsibilities! The students used sensors with similar technology to Nest sensors to keep track of goods. They also used sensors to build autonomous transportation vehicles.